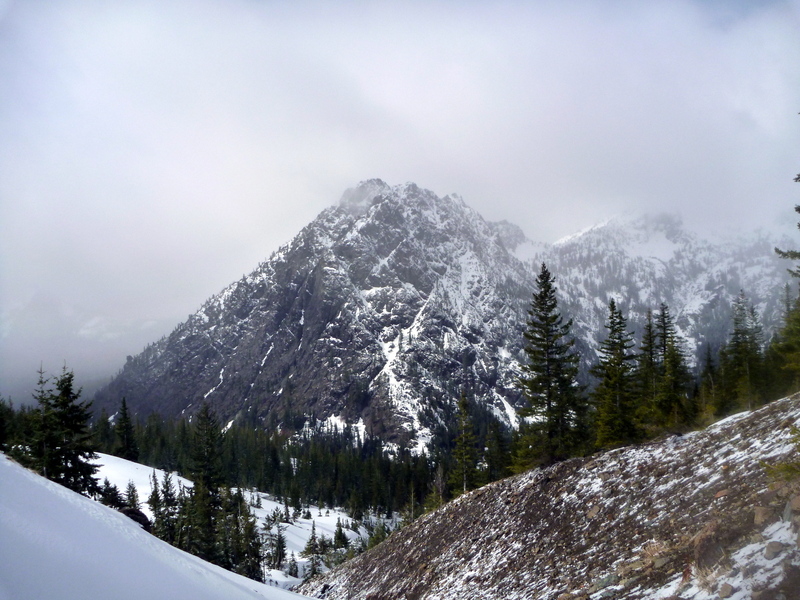 This winter I had the opportunity to visit one of my very favorite places in the state in snowy conditions – namely, Ingalls Pass in the Teanaway area. I love the Teanaway because it generally has better weather than the Cascade crest closer to home, and the scenery is second to none in the Central Cascades in my opinion. We left Seattle fairly early in the morning, knowing that the toughest part of the trip might be the road in. Fortunately, with these unseasonably low snow conditions (! Do not attempt the drive this early on a normal year !) we were able to make it to the trailhead in a Subaru Outback. We also knew some fresh snow had fallen a few days before – the avalanche danger was rated moderate with a loose wet avalanche hazard. 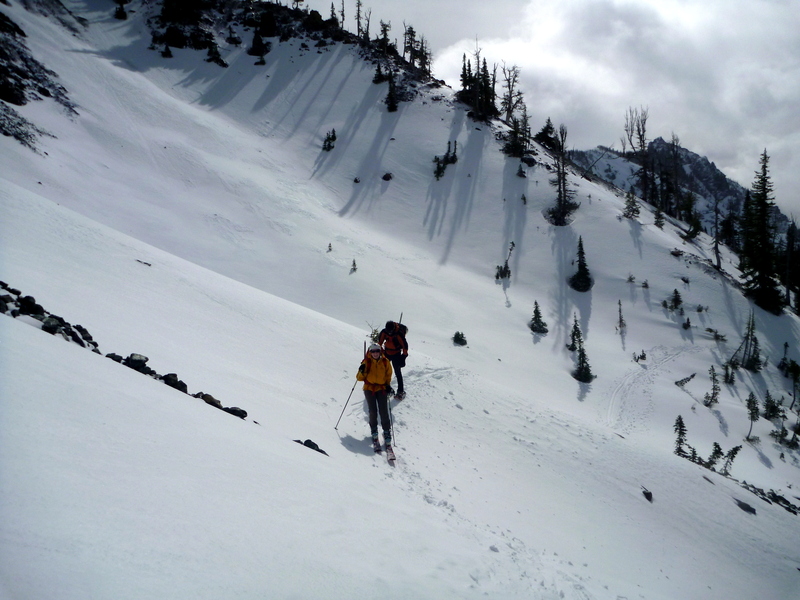 We walked the first mile or so of the trail to an elevation of about 5000′ where we put on the skis and started skinning up (most of us at least – we had a snowshoer in the party). The skinning was fairly pleasant except for a section in the middle where south facing slopes had melted out leaving dry trail. The snowshoer did not appreciate the miles of sidehill traversing, something skis handled like a champ. 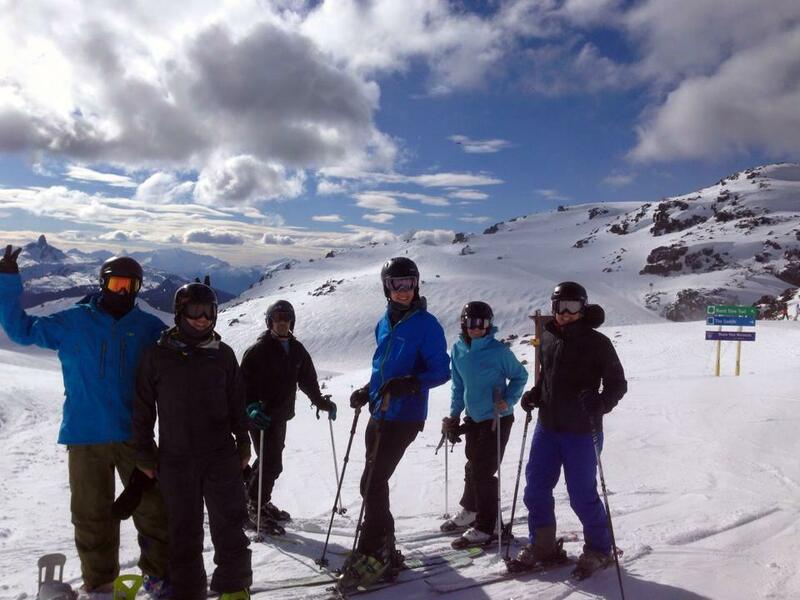 Sick of the awful snow conditions in the WA Cascades, a group of my friends took a long weekend trip up to Whistler, BC. After loading up on our legal allotment of beverages on the US side of the border, we crossed into Canada and fought Vancouver traffic until we rolled into the ski town. I bought a three day “Edge card” which is a discount for Canadians and WA residents. 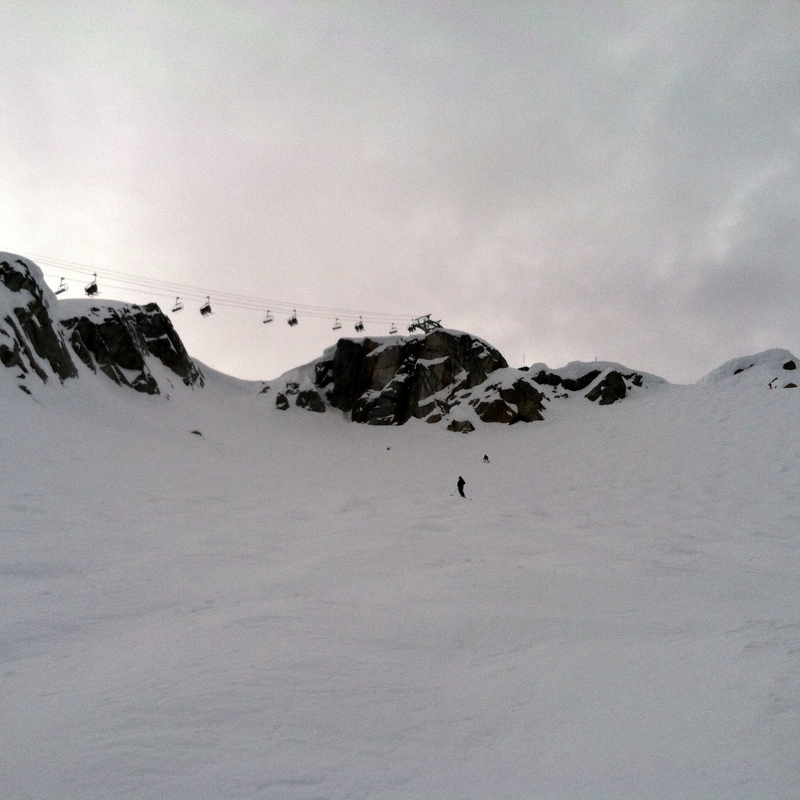 It ended up being a pretty good value considering the variety of terrain and quantity of high speed lifts. 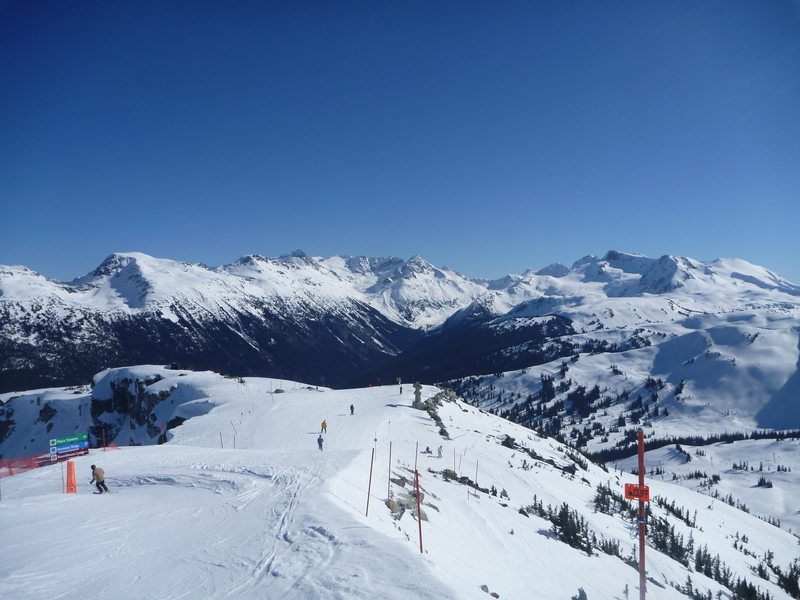 Whistler/Blackcomb is a huge complex consisting of two large peaks, each with 5,000’+ feet of vertical rise from the base. 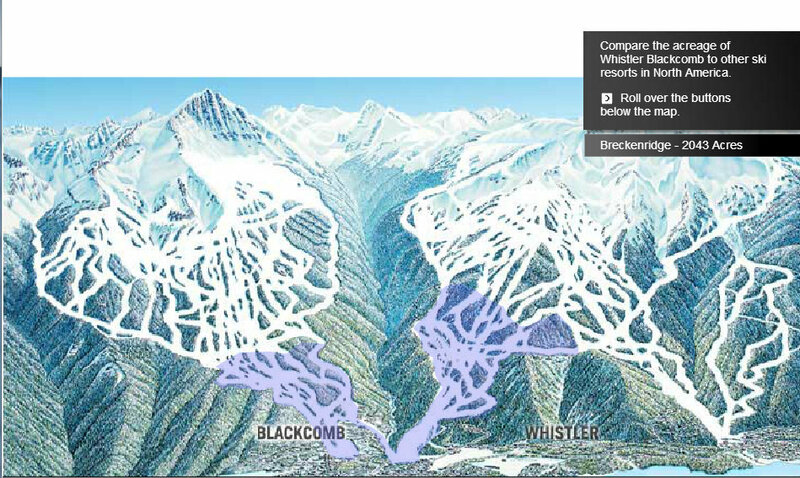 In terms of acreage, Whistler is the largest in North America. Breckenridge, which I skied and thought was pretty huge, looks tiny by comparison. 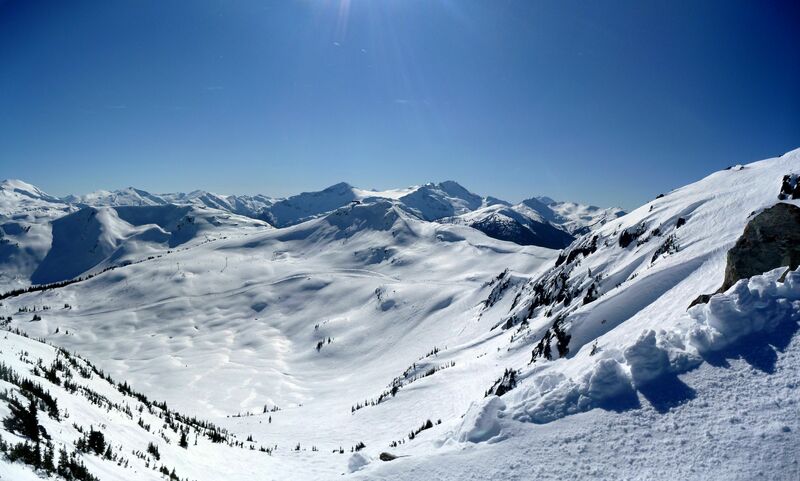 The highlights of the resort for me were the variety and quantity of off-piste terrain, including giant bowls, chutes, and steeps; the Peak-2-Peak gondola from Whistler to Blackcomb, a real technological marvel; and the incredible views of the surrounding Coast Range and Garibaldi Provincial Park. Our weather was pretty much sunny with moderate wind – no new snow fell, but the hardpack conditions weren’t too icy and tended to soften up in the ample sun. The groomers were in great shape although the snowpack is pretty much just man made ribbons until 1,000+’ above the base. 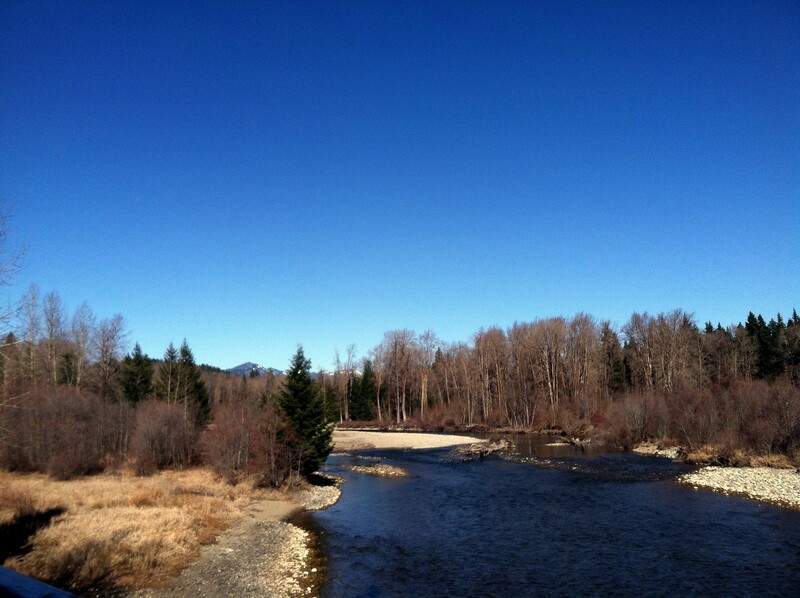 This weekend called for flawless, unseasonable weather – 60F in Puget Sound. 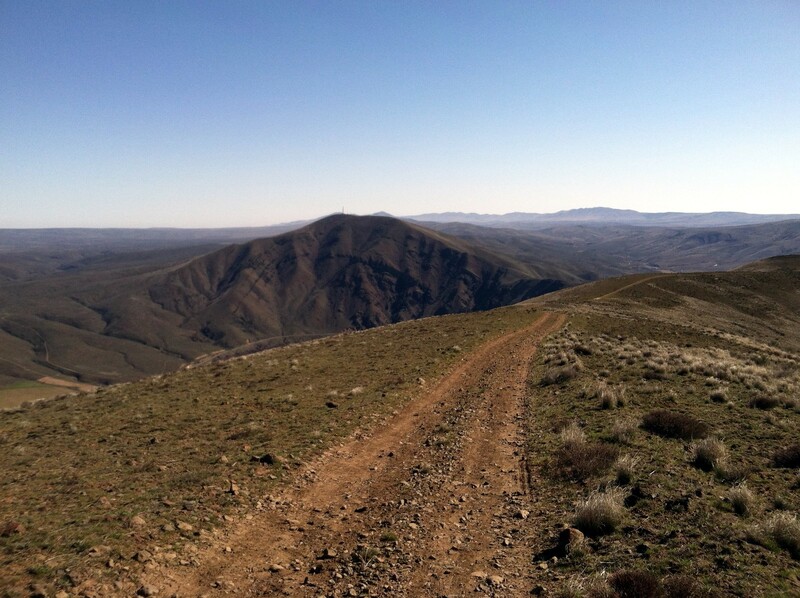 I took it as an opportunity to head out into the desert to test out the route of an upcoming trail race I’ll be running, the Yakima Skyline 25K. 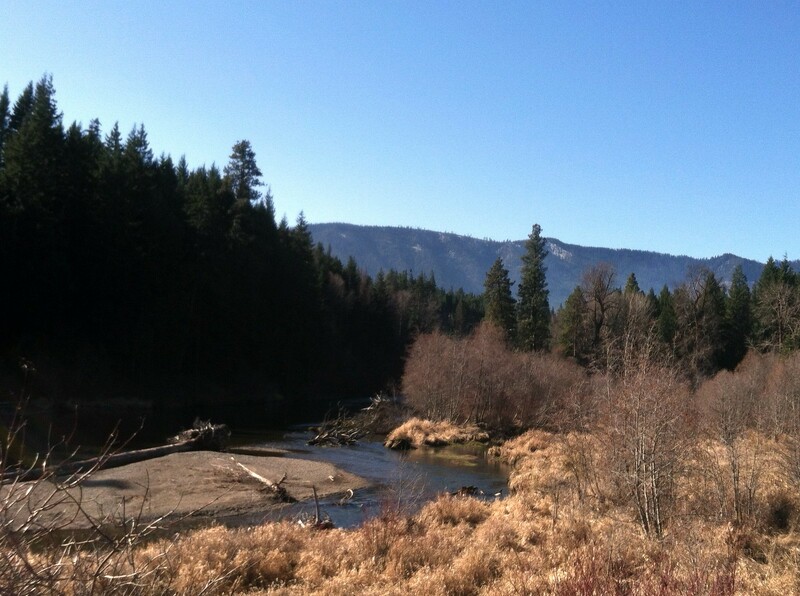 I headed out over Snoqualmie Pass, through Ellensburg, and along the Yakima Canyon scenic byway before reaching the Umtanum Creek recreational area. I loaded up a running pack with the essentials for a solo desert run: a phone with GPS maps loaded, 60oz of water and sports drink, food, and a couple of essentials for the worst-case – an insulated jacket and headlamp in case of injury or getting lost and stuck out after dark. It gets surprisingly cold in the desert. I did not expect 100% of the run to be in full sun, but that is what I found. The climb out of the canyon was swelteringly hot in the stale air, with scrubby sage brushing against my knees as I walked most of the way up the 2000′ to the ridge in less than 2mi. From there I followed a hard packed jeep road along the gently rolling ridgetop. 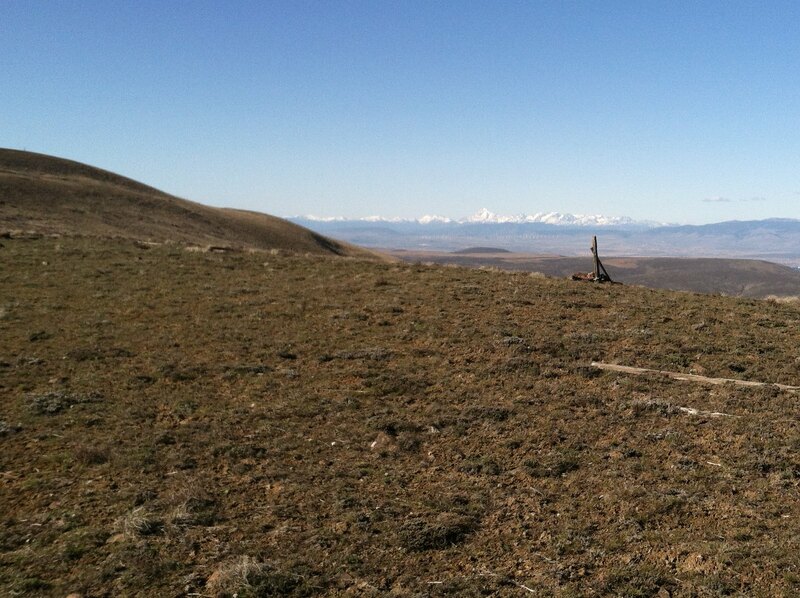 The views included the majestic Stuart Range north of Cle Elum, the neighboring Manastash Ridge, and the (artificially) fertile Yakima Valley to the south. Here’s an experiment with image stabilization. I haven’t been able to shoot decent trail running video and am still very much trying to refine the technique. The descent to Roza looked fairly gentle in the elevation profile, but in reality it varied between flat sections and technical, loose, steep switchbacks. By this point I realized I had used more than half my fluids and I would need to be very conservative with my pacing on the way back over the ridge. Fatigue and heat started to set in even though it was just 70F, and I wasn’t able to run the second ascent to the ridge as planned. There was no water to refill here; hopefully on race day my hydration will be less of a limiting factor. The worst part of the run is the last 2 miles of descent – it is too steep and loose to run at full speed, and has some brutal sections of flat/uphill so you can’t count on just coasting to the finish. It felt great returning across the pedestrian bridge to the parking lot. 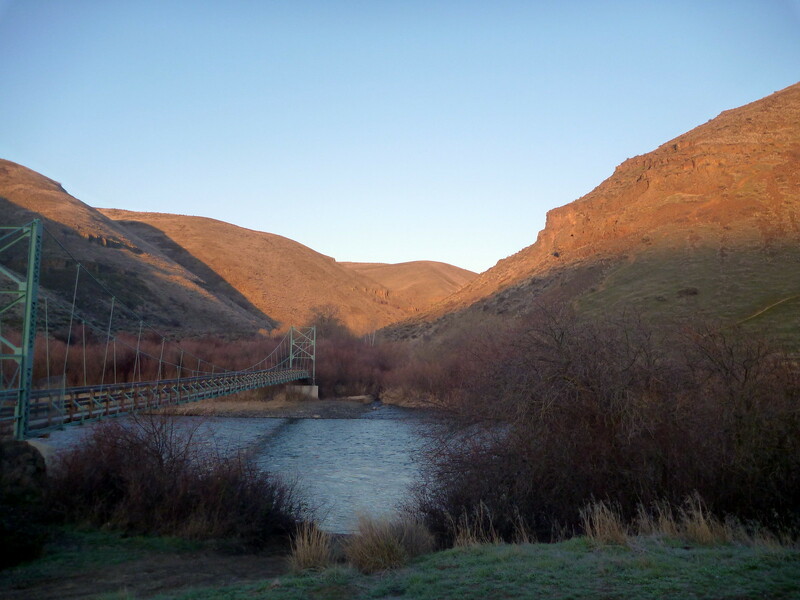 I drank another quart or two of water, then rinsed off in the Yakima River and settled in to camp for the night. 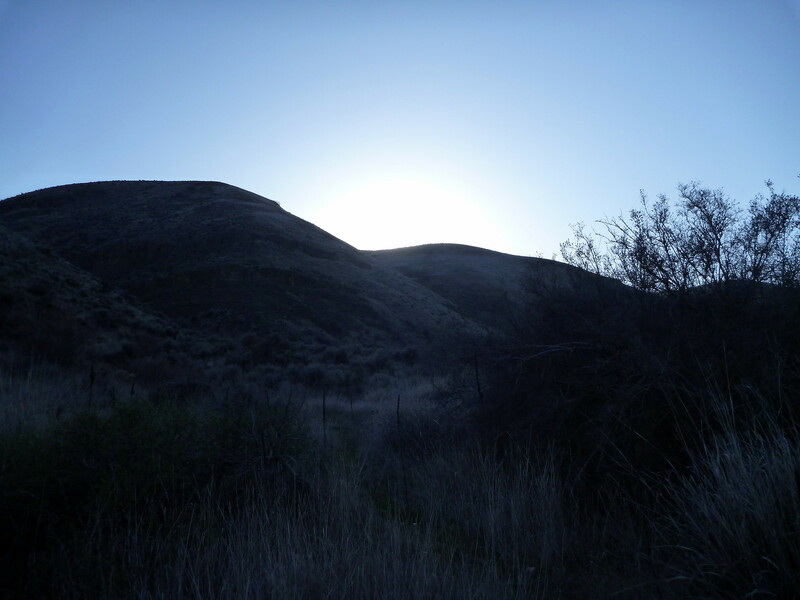 I hiked in Umtanum Canyon at dusk looking for bighorn sheep, but didn’t spot anything more than some fresh tracks. It was still a beautiful walk. After a frosty night’s sleep and the loss of an hour due to Daylight Savings Time (great for me – I hate the long nights when camping solo! 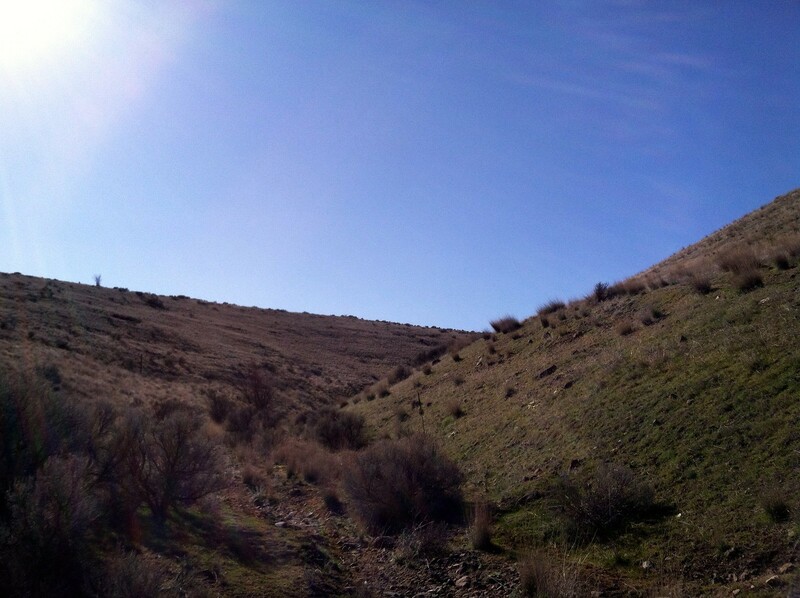 ), I took a scenic drive through Yakima Canyon all the way to Yakima, then took the interstate back to Ellensburg. I did a quick recovery run on the Iron Horse trail in Cle Elum before grabbing some barbecue at nearby Smokey’s, my go-to place to eat east of the crest.